How long does it take for my puppy or kitten to grow into an adult? This answer is very dependent upon the size your pet will be as an adult. 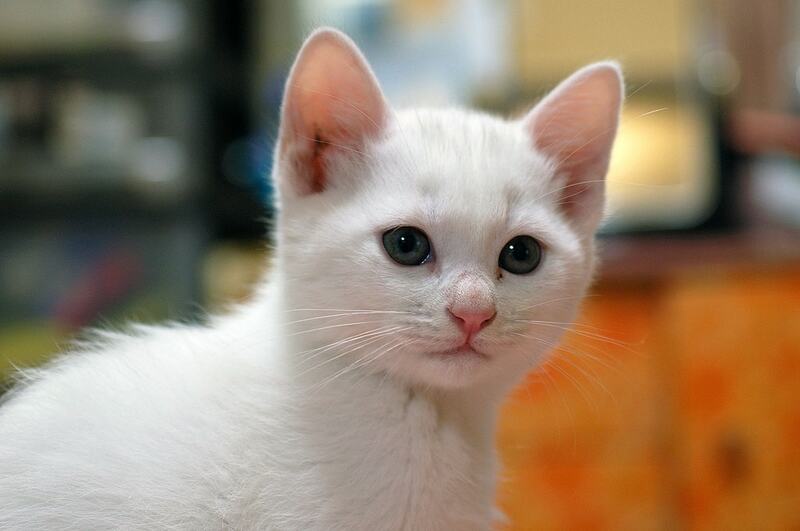 Kittens and puppies grow at an incredible rate from birth to about six months old. After six months, kittens and small breed dogs’ growth rate starts to slow down as muscles begin to fill out and bones begin to harden. Large and giant breed dogs, however, can continue to grow for up to two years! 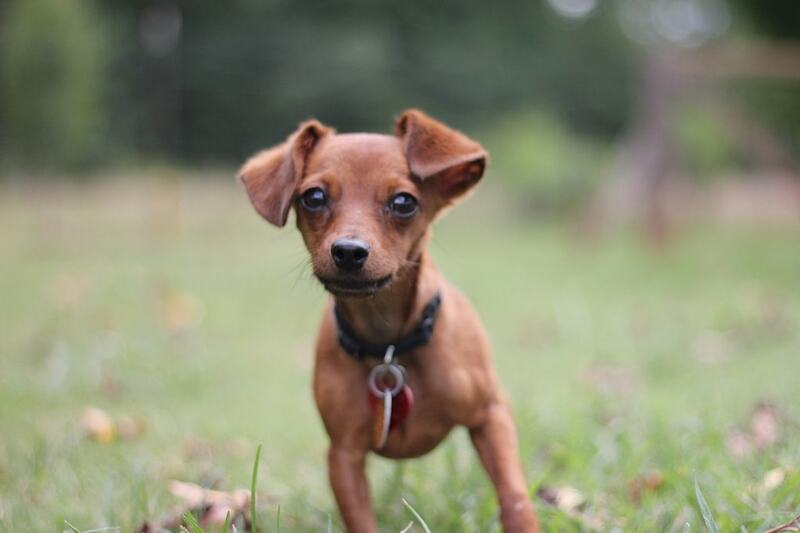 The best way to ensure your pet’s growth stays on the right track is to provide them with regular veterinary care and proper nutrition. 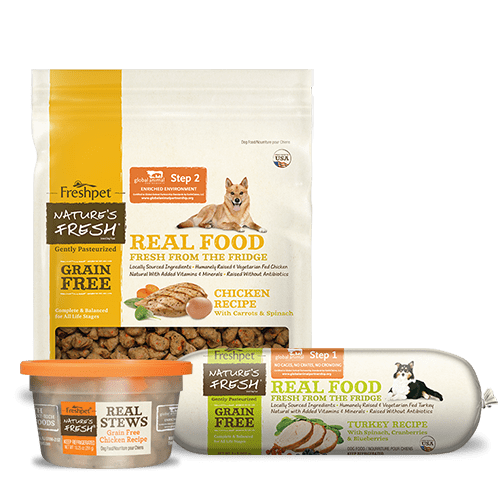 I don’t like the food my puppy or kitten was eating before, how do I make a change? 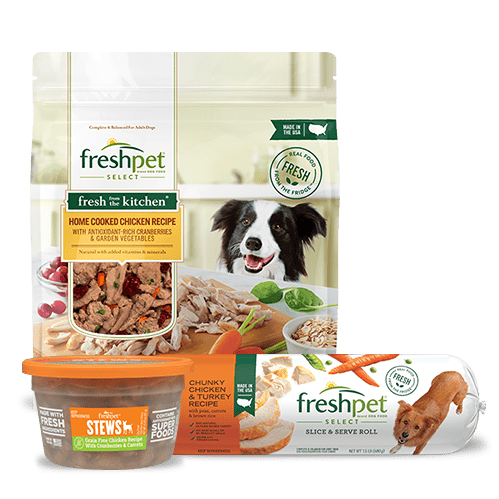 For the first week or two after you bring your new pet home, it’s best to continue feeding them the same type and brand of food they were eating before. Changing their diet too quickly can cause gastrointestinal upset. Once they’re settled and you’re ready for a change, gradually increase the new food and decrease the old food over a period of 7-10 days or until they are eating 100% of the new food. Do I need to buy special kitten or puppy food? 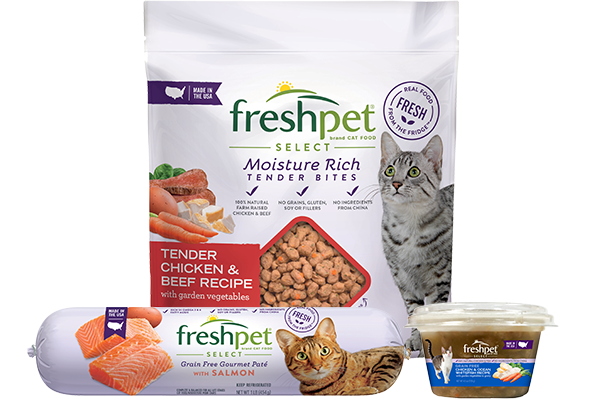 Typically kitten and puppy food contains higher levels of protein and fat per serving than adult food to help support their rapid development, but buying it is not necessary. 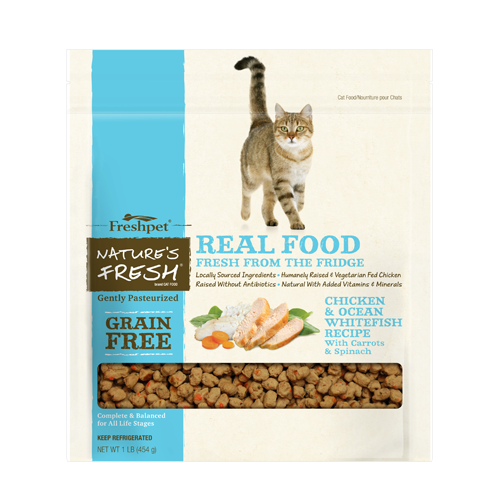 If a pet food is labeled “complete & balanced for all life stages” it is appropriate for young and old alike. 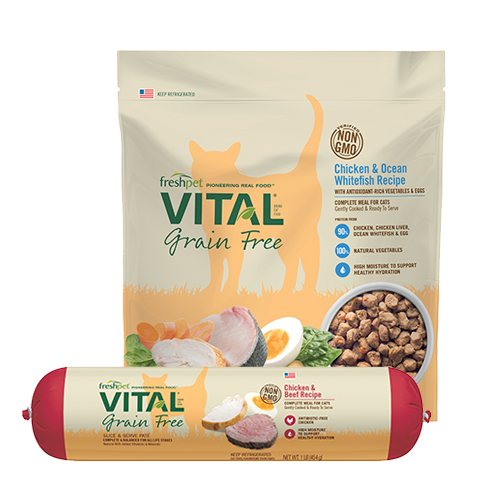 However, you will need to adjust the amount you feed so be sure to talk with your veterinarian about the proper amount for your pet’s life stage and carefully read the recommended feeding guidelines on the packaging. 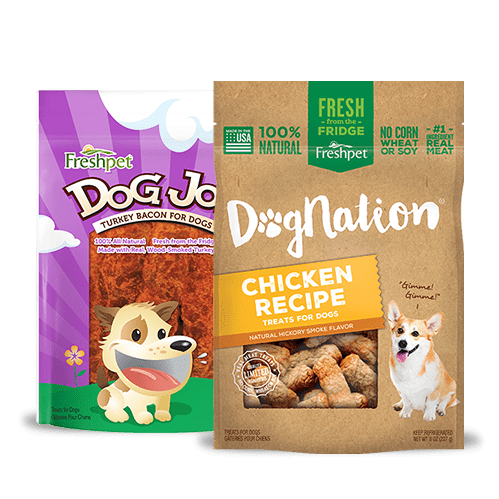 How much should I feed my puppy or kitten? In general, kittens and puppies from two to fourteen months old should be fed up to twice the normal adult requirement. Every couple of months, as their growth rate slows down, you will need to reduce the amount they eat to keep them from becoming overweight. To sustain their energy levels even throughout the day, I recommend splitting their daily feeding amount into three or four smaller meals. Giving your new bundle of joy treats is okay in moderation, as long as they do not account for more than 10% of their daily caloric intake. 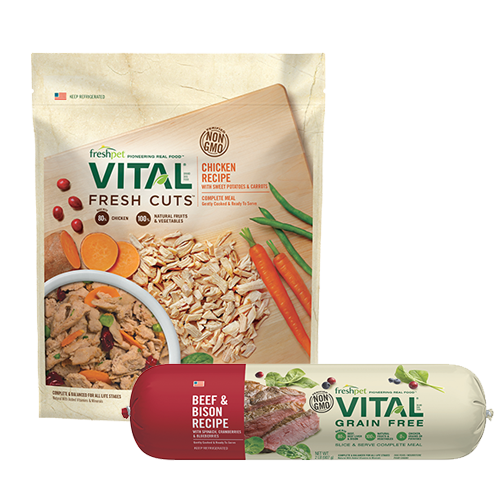 As always, be sure to check with your veterinarian before making any changes to your pet’s diet. Best of luck with your new addition!